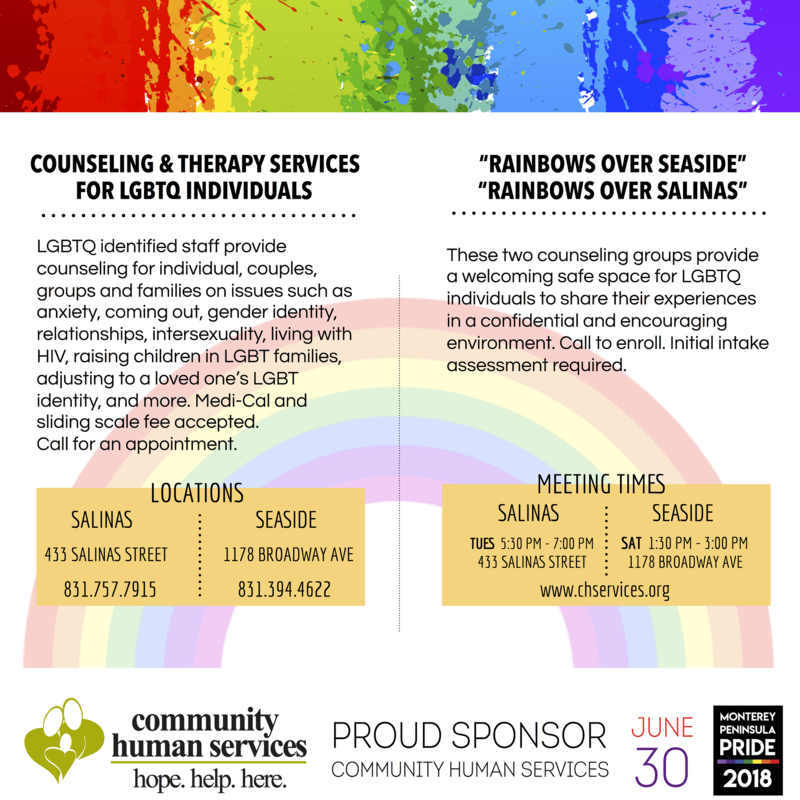 C.A.T.S., or Counseling and Therapy Services, aims to provide a supportive space in which individuals and their families can talk confidentially with LGBT-friendly staff and LGBT-identified professionals. C.A.T.S. provides the HIV/AIDS and LGBT communities in Monterey County with priority services for individuals and groups. The program uses a sliding scale based on a client’s ability to pay, and is affordable. We also accept Medi-Cal. Drop-in groups are free of charge. C.A.T.S. (Counseling and Therapy Services) is a program of Community Human Services. Funding is provided by Monterey County Behavioral Health Department.